I had high expectations for this one, but unfortunately I'm a bit underwhelmed. There was not much novelty in the story, the characters were fairly common and most of the plot twists were expected. However, I will continue with the rest of the series because I still had fun reading the book, by the end the characters were evolving so I think it will be interesting to see where they end up, and also, I've heard good things about the next one! Three stars! I hope the second one is better, because this one wasn't that great. The bad things first: It really annoyed me how much beauty was an important element to Kelsey and how ugly and plain she says/thinks she is. It was constant and it was very weird too, considering she was raised in a far away home in the middle of the woods with only her foster parents as company. How did she know she was plain or ugly if she had ever seen anyone else? It makes no sense. Also, how come her guards travel with her back to the castle, in secret, hiding from the assassins that want to kill Kelsey and yet every night they light a fire, they get drunk out of their wits and leave her tent unattended? 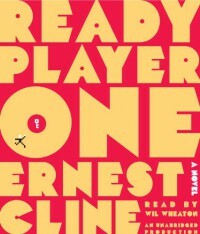 Another bad thing is that I listened to this as an audiobook and on important scenes the narrator started to yell and that was quite unpleasant. It is possible to convey action or emotions without yelling, and I really wish the narrator understood that. But leaving that aside, I liked most of the other things. I did appreciate the story and the world that was presented to us. I liked that we don't have many answers as to what happened before the Crossing of how come things came to be this way. Maybe it will be explained in other books or maybe not, but either way, it's good not to have everything clear all the time. I liked how Kelsey starts to feel more comfortable in her role as Queen and how she discovers what she can do. I even liked that she has a crush, because after all, this is a nineteen year old girl and it's only natural to find someone you like, especially after being isolated all your life. Also, I do think there were too many unnecessary descriptions but it didn't bother me that much because since I listened to this as an audiobook it wasn't tedious. The narrator also did great men's voices, so that was good. I have the feeling the series gets better as it advances, so I'll go on to the next one. Three stars. This is my first book by Angela Marsons and I'm sure it will not be the last. 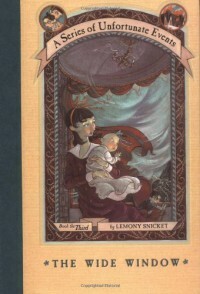 I enjoyed reading this book and knowing this author's work, so I want to start reading the series from the beginning! Ok, I'll start mentioning the things I didn't quite like, so we can go on to review the good things. And time was running out"
Now, let's move on to the good bits! I don't want to spoil anything, so I can't be too descriptive, but I'll try to do my best. The plot in general was very intriguing and interesting. I really liked that Angela Marsons takes the time to touch the very important topic of discrimination while developing the story. It reminded me a little bit to what Henning Mankell did with his Wallander series: always a new complicated theme right alongside the murder investigation. 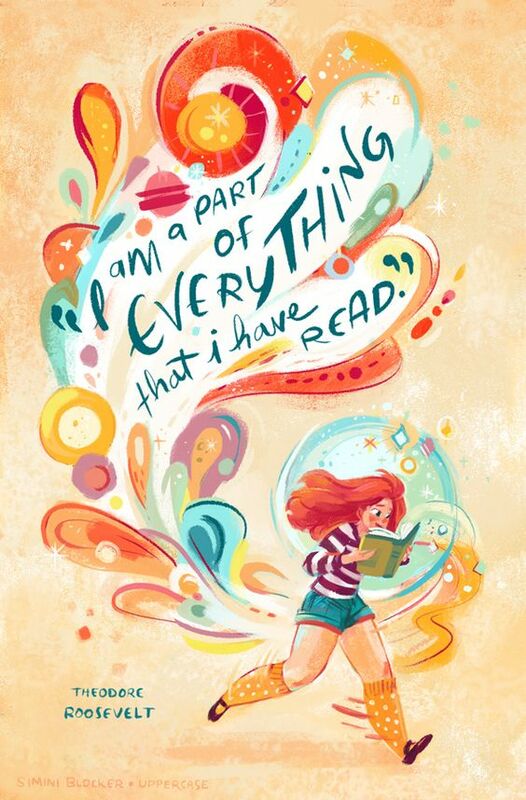 I also loved that there were many stories within the book, so you were constantly moving from one plot to another, and there were always something new to find, even when most of the time I disagreed with the decisions the characters made! On one side, there's the rivalry between Kim and another detective with whom she has a story and now she has to work with. On another side, we find two investigators from Kim's team having to learn how to function as partners. Then we see Stacy, trying to work amidst talks of racism and figuring out if she could trust her gut. Finally, of course, there's the murder part of the plot. It all starts with some bones found during an archaeological dig and it all blows up from there, ending up in a nerve-raking scene which I really cannot describe without giving it away, but it's good! That's it. Thank you NetGalley for providing me with a copy of this book in exchange for an honest review and thank you Angela Marsons for a great story! 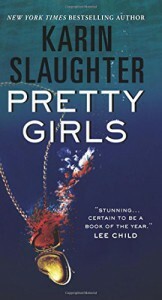 I didn't give this 5 stars because the first half of the story is a little slow and I didn't really connect with the characters at first. 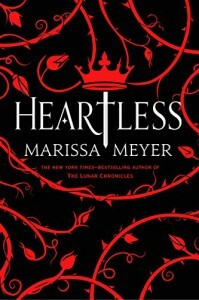 But after that it's all the magic and adventure Marissa Meyer has us accustomed to. To be honest, I dreaded getting to the end because we all know how the original story starts. But even though I knew I was going to suffer (and I did! ), the writting is great and I'm glad I picked this one up. Four stars! 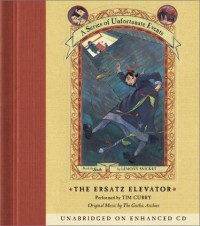 I think I would have loved to read this book when I was a teenager! It would have probably helped me to learn a thing or two way faster than I did. However, since I'm reading it at 32, almost everything in this book seemed obvious or redundant, its lessons were things I've known since high school so they were not truly interesting for me. 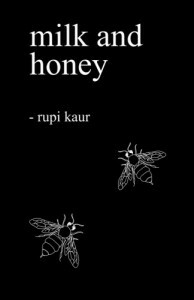 However, there were a few poems that were really good and I think that every young woman should at least peruse some of its pages because it's going to be very useful. 3 starts! For the first part of the book I felt this was just an ok book, nothing really new, not even the part about Harrison made a real impact in me. 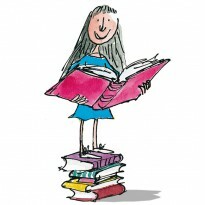 But then I got to the part with her diaries. Wow, they blew me away. They are so beautiful and heartbreaking. 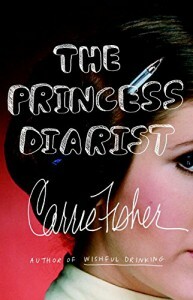 We're so used to read or hear Carrie making light of any situation, that it was such a nice change to read her diaries. They were written with such depth and beauty, and sadness, that now I feel even more fondness towards Carrie (and I thought I already liked her a lot!). There was so much more in her, it's such a shame she passed away so young. Her diaries opened another door to her soul and I'm so glad I got to read this. Carrie Fisher will be missed dearly. Four stars! Although I disliked most of the characters, you have to admire an author who dares to write these incredible flawed people, even knowing that it's going to negatively impact the way you see her book. 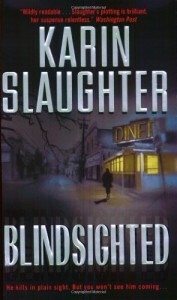 Karin Slaughter wrote a very good start for this series. 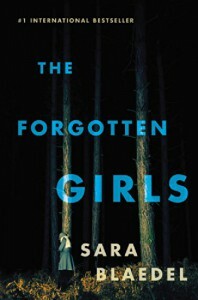 It's dark and suspenseful and it leaves you interested enough to want to continue with the series. Four stars! Absolutely terrifying. Some scenes were so disturbing that at times I had to pause the audiobook just so I could take a deep breath and be reassured that this wasn't really happening. Please note that I am not overly sensitive with these things and I usually read disturbing things, but the plot + the voice in my ears were a bit too much sometimes. 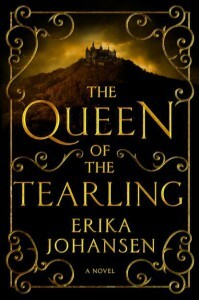 I will definitely continue reading books from this author, even if it gives me a heart attack. The story is nothing new, really. It's something we've all read/watched plenty of times, but the author somehow manages to make it feel unique. Five stars. This is not a suspense book because you know everything pretty much from the beginning. It's not very realistic either, because there were quite a few far-fetched situations. It was also hard to believe Grace was such a great actress that no one, except for one single person noticed that something fishy was going on. 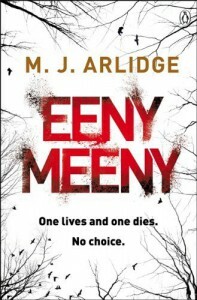 Also, the story and the ending were nothing new, to be honest, but this book was still a good old thriller. I felt terrified from the moment I started listening and I was very close to stop listening because the emotions this book was generating in me were making me feel very anxious. 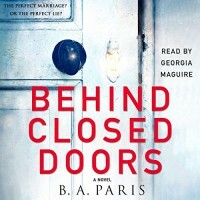 Georgia Maguire does an excellent job at reading this book with just the correct amount of fear and despair, so she added a lot to the mix. I could feel the hopelessness Grace was feeling and I was honestly scared thinking about how many normal people you meet on the street may be like Jack or how many women are like Grace. So even though technically it may not be a great book, it had me grabbed from the beginning and I could not put it down until I finished it. What an experience. Four stars! 4.5 stars! LOTS of deus ex-machina and quite a lot of situations a bit too perfect to be believed, but all in all, a GREAT adventure made even better by Wil Wheaton's voice. I was worried some of the fun was going to elude me if I didn't recognize some of the 80's reference, but fortunately that wasn't the case. Wade is a very likeable character and so are his friends (although Art3mis did exasperate me sometimes), so it was very easy to connect with them and to want them all to win. I also liked that the protagonist was an 18-year-old that really behaved like an 18-yo, which apparently is not an easy thing to write because authors tend to either dumb kids down or make them too mature for their age. I had a lot of fun with this book and I would love to see this on the big screen or even as a tv series. 3.- Nobody believes the children, even though Olaf's disguise is ridiculous. 4.- Olaf's plan is discovered and he runs away. 4,5 stars! This one left me with a huge lump in my throat! 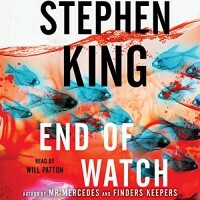 After a second book that wasn't all that good, King picks up where the first one left us and pumps it up to 100. At first I wasn't too convinced with the book going all supernatural, but then something clicked and it worked for me. 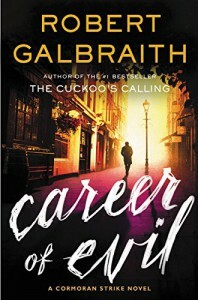 I didn't give this 5 stars because there were a few things that seemed too far-fetched for my taste and because the parts told from the bad guy's point of view dragged a bit. But other than that, I really liked this book. It was great to read Bill, Holly and Jerome again and I really hope King decides to write something else with the Finders Keepers Agency in it. A great ending to the series! Mr. Poe is the biggest idiot in the history of time. That is all.